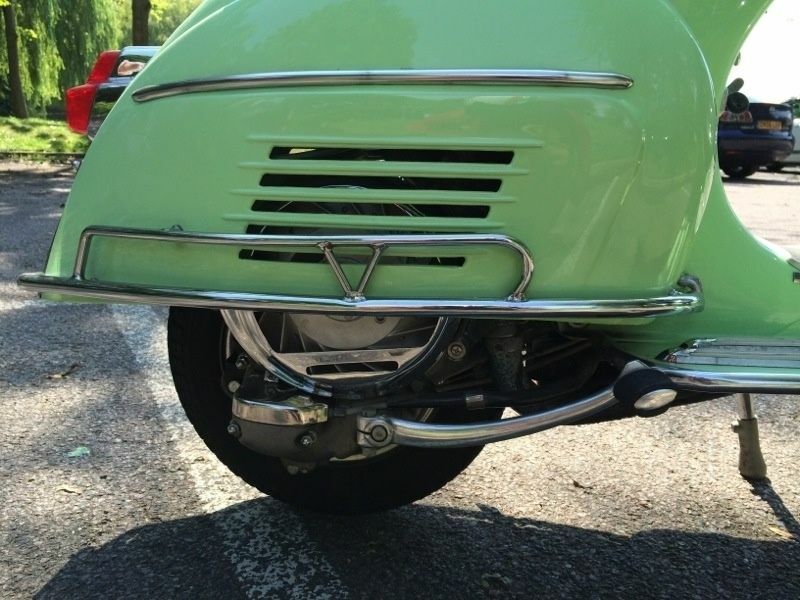 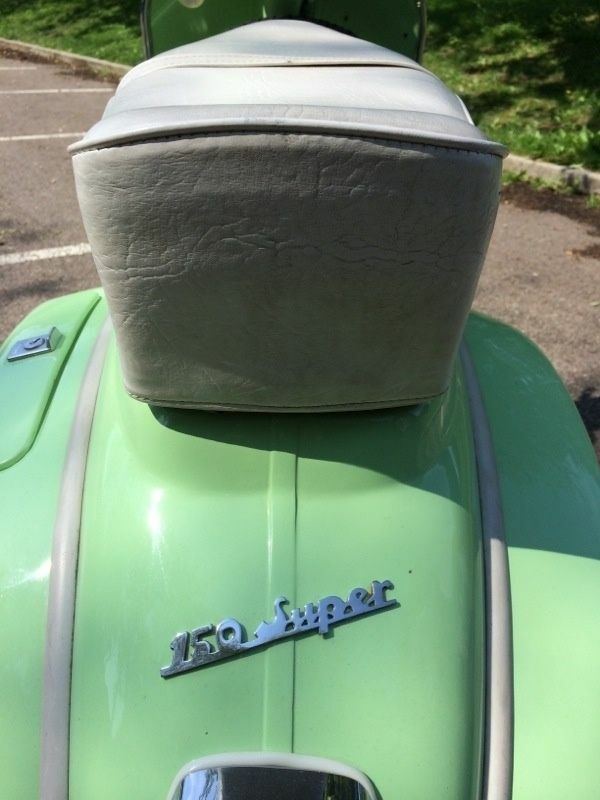 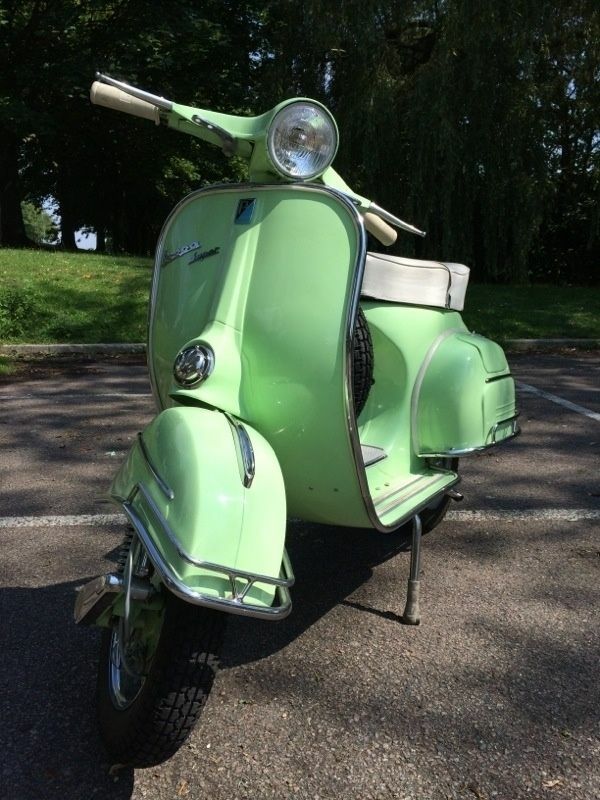 Vespa 150 Super, fully restored in 2008. 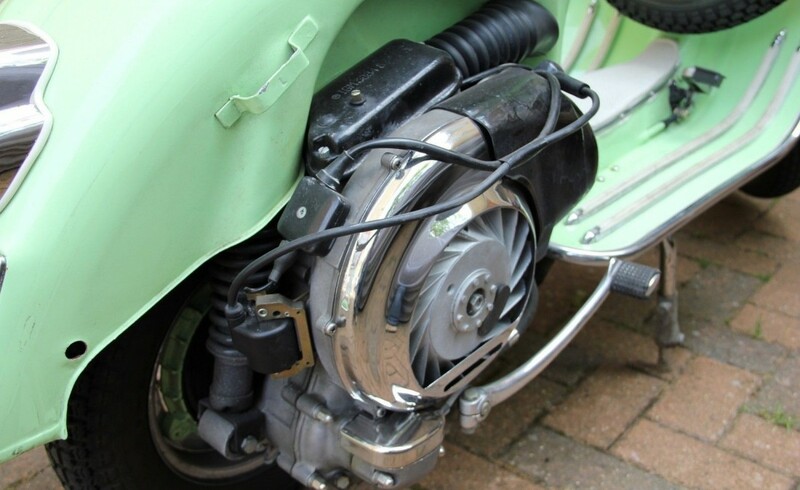 Since then it has always been garage. 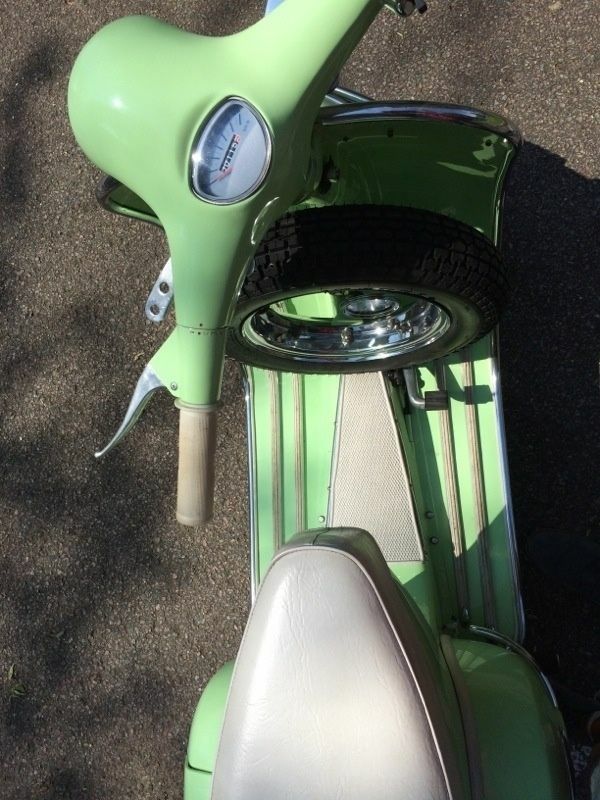 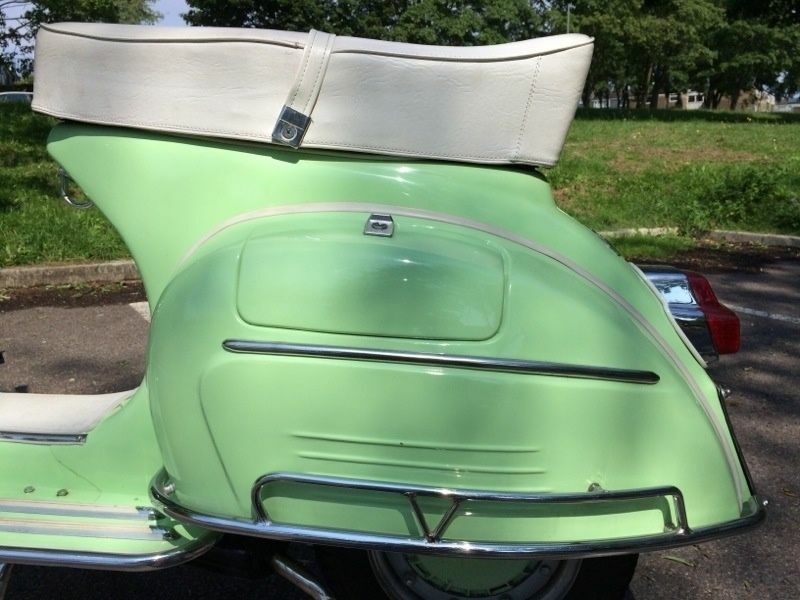 We’re the second owner in the UK, firstly imported and restored as a collection scooter and not used on the road, as proved from the MOT history. 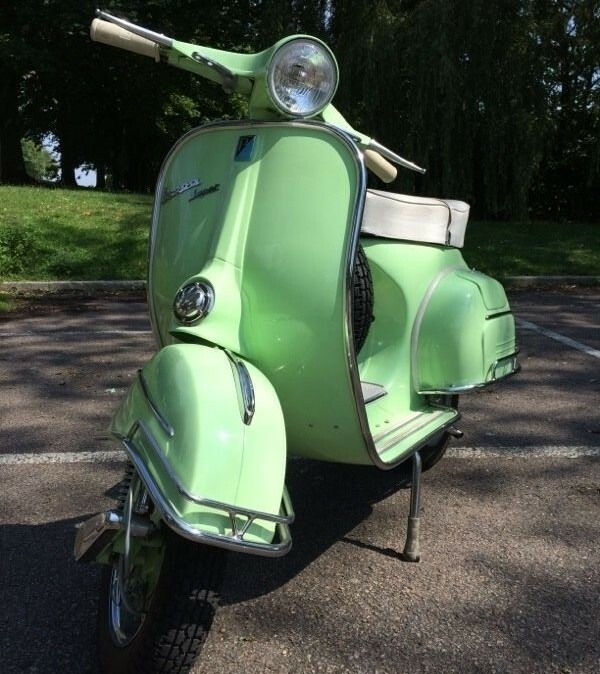 The Vespa come with a British Lambretta Archive Certificate where is confirmed all details Year, engine and frame numbers and country of manufacture (Italy). 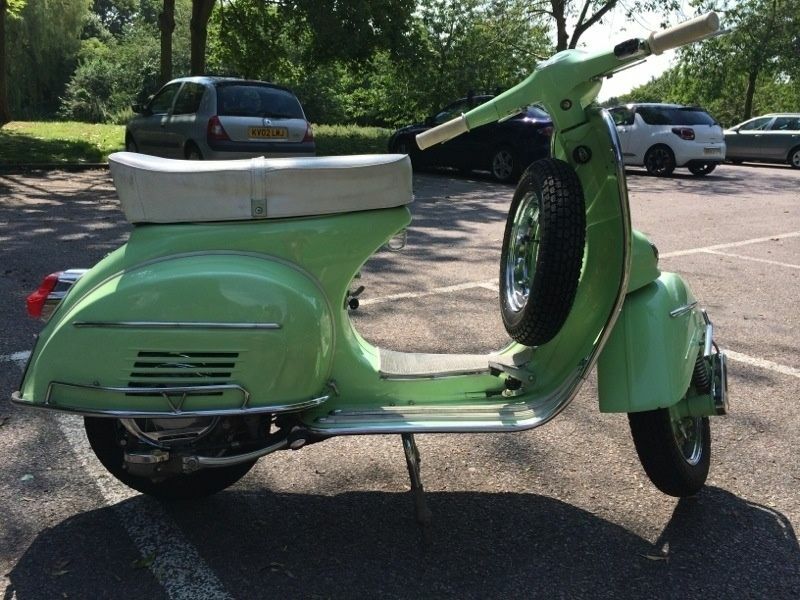 This Vespa is a great head turner and would be a master piece on a scooter’s collection and stand out anywhere it’s taken. 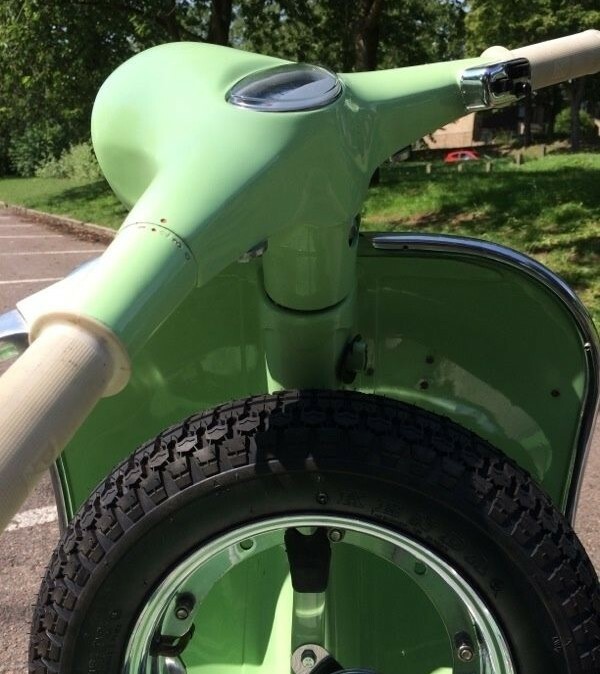 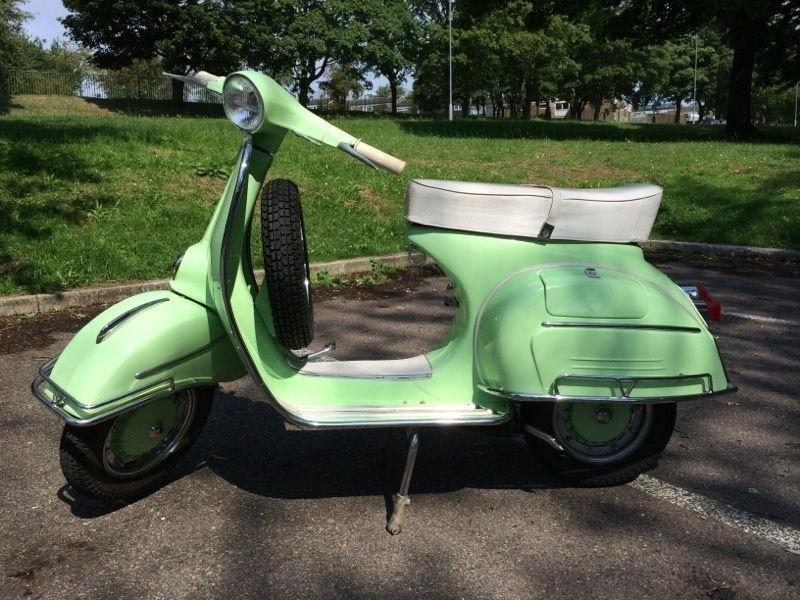 There aren’t many other long time investments as beautiful as this Vespa. 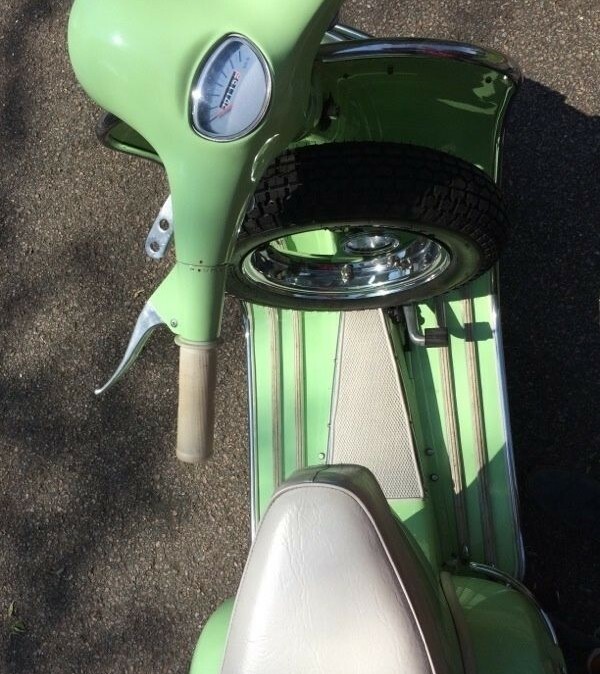 You don’t need to be an expert to undertand the care taken in the restoration of this scooter. 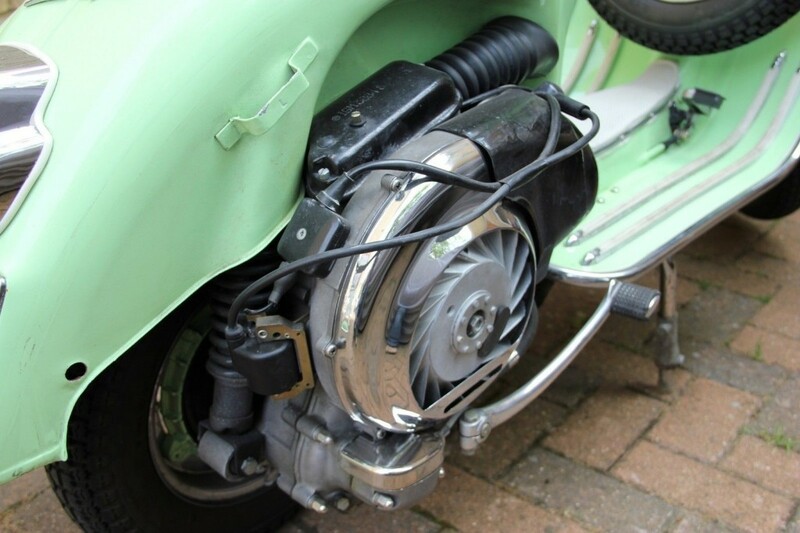 The vespa starts first time with no issue, all fluids have been replaced with the engine restoration. 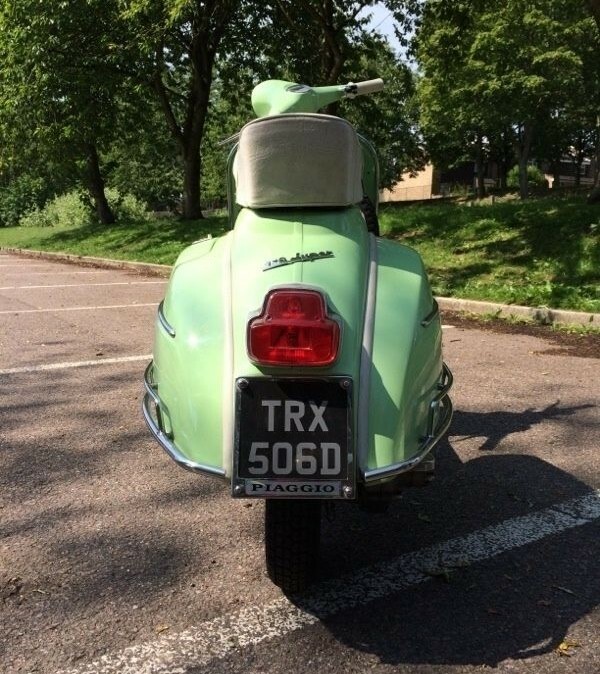 V5C present registered as 125cc. 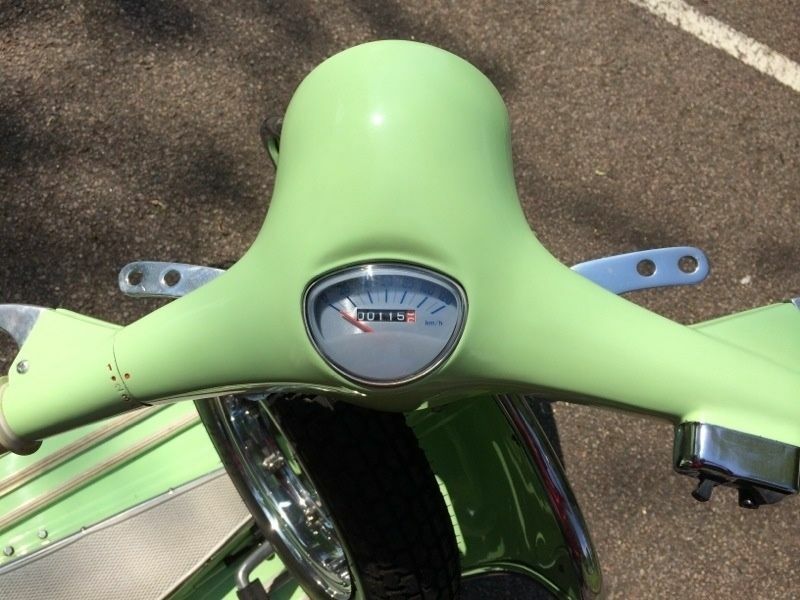 Odometer 130 Km. 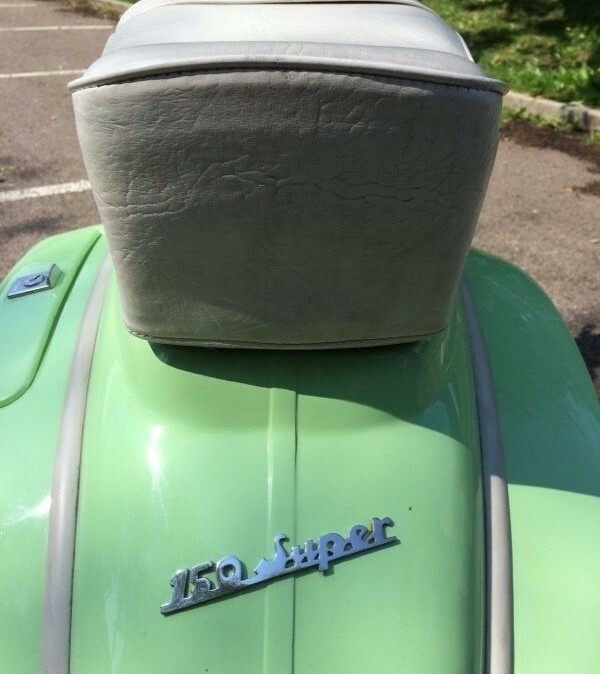 at the present. 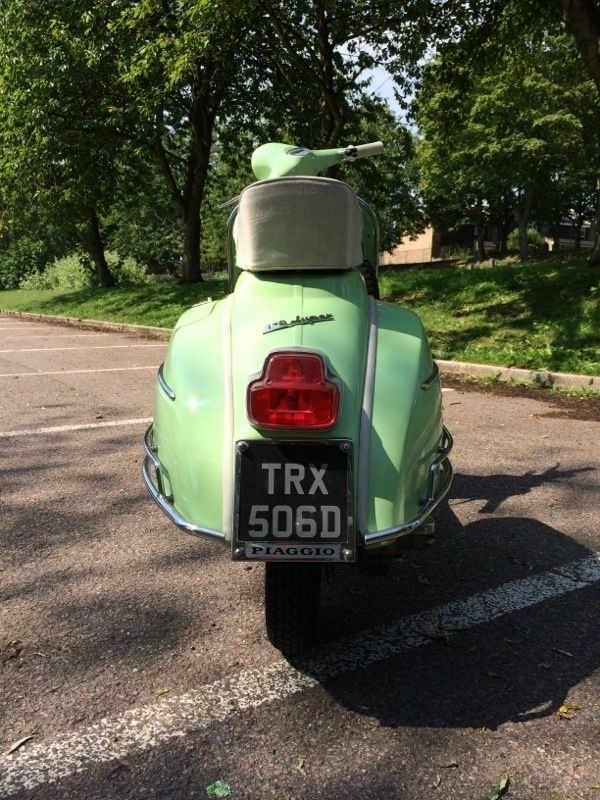 General condition is excellent, the body has a couple of small dents and fews small scrathes, engine is very good with no leaks. 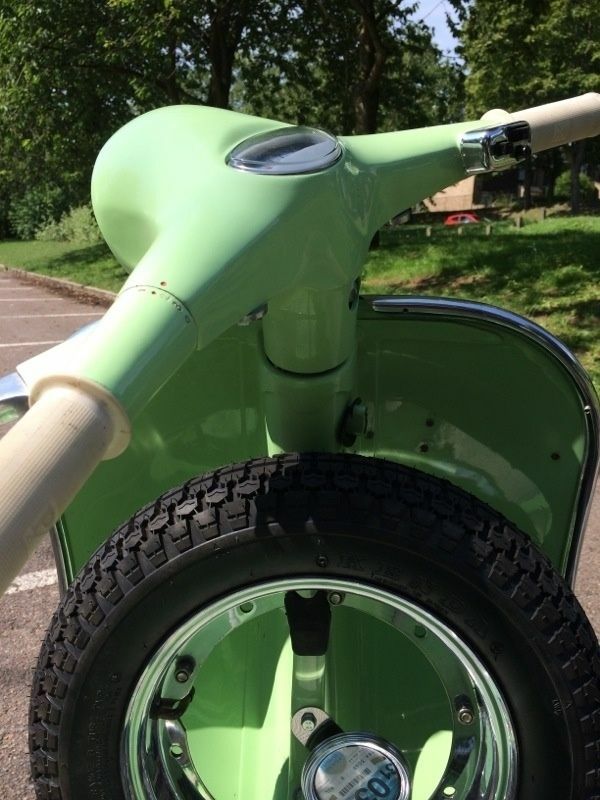 Chromed wheels including the spare wheel as shown in the pictures.